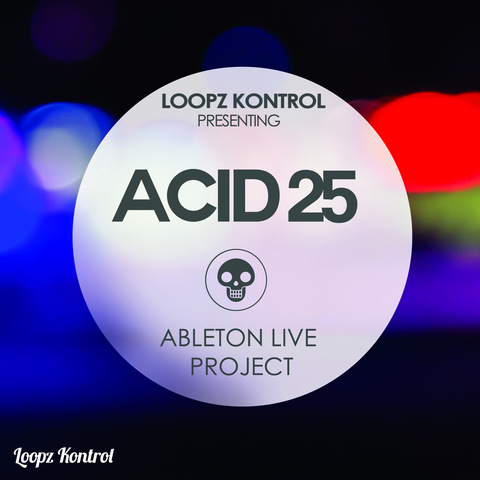 Loopz Kontrol presents an amazing Progressive Psy project for Ableton Live 9.1.10 users. This project features powerful baselines, hypnotic melodies, psychedelic ambiances and FX. The project contains a mix of audio samples recordings, allowing the user to delve into the inner workings of a Psy-Progressive production. Please note that this download does not contain any MIDI tracks. 'Acid25' was inspired by well known Psy artists including Protonica, Vaishiyas, Protoculture & Flowjob. No 3rd party plugins are required to load this project.